GFI MailArchiver which ships at an unbeatable price is an email archiving and email management solution that is easy to install and requires minimal administrative effort. It helps the company to reduce its dependency on PST files and to meet its legal and regulatory obligations. All emails are stored in a central location that is easily accessible using a web browser. It is the no. 1 email archiving software for small to medium sized businesses. Win 2000 SP3+, .net 2.0, IIS Web Service, IE5.5 or later. One way to address each problem with a single solution is to implement GFI MailArchiver, an email archiving and email management software package for Exchange Server. 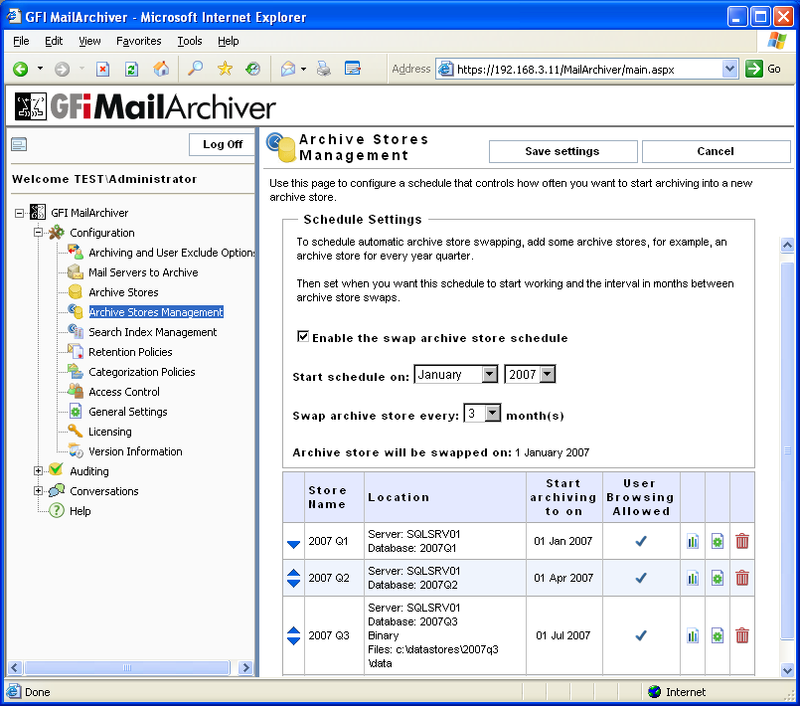 With over 10,000 customers, GFI MailArchiver is the no.1 email archiving software for SMBs and it is used by administrators to maintain an archive of all corporate email correspondence, significantly reduce the demands on the Exchange server, manage and reduce the company's dependency on PST files and also meet a growing number of regulations on compliance, eDiscovery and other legislation. Furthermore, this easy to install product requires very little administrative effort and most importantly ships at the lowest price on the market. Qweas is providing links to GFI MailArchiver for Exchange 6 as a courtesy, and makes no representations regarding GFI MailArchiver for Exchange or any other applications or any information related thereto. Any questions, complaints or claims regarding this application GFI MailArchiver for Exchange 6 must be directed to the appropriate software vendor. You may click the publisher link of GFI MailArchiver for Exchange on the top of this page to get more details about the vendor.